Running in Budapest, Hungary. Best routes and places to run. 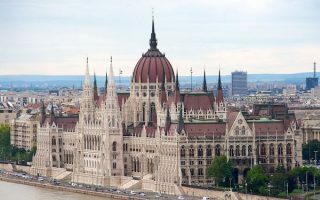 Budapest, Hungary is a popular travel destination, with wonderfully preserved architecture, great restaurants and bars, and a good transport infrastructure. It is the capital of Hungary and the country’s largest city, with a population of 3.3 million. There are also lots of great places to go running in Budapest. 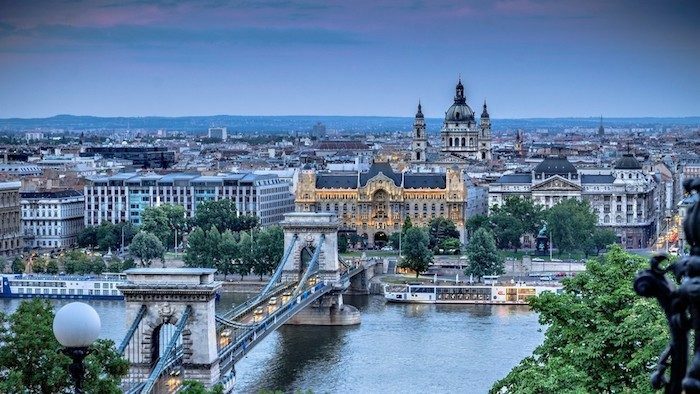 Budapest is divided by the Danube River, and is the combination of two formerly separate cities: Buda and Pest, on opposite sides of the Danube. 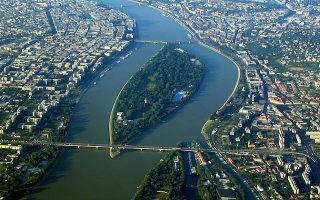 Pest, on the east side of river, contains the Inner City and some of the more visited sites. Buda, on the West side of the river is hilly and semi-suburban, and has winding, narrow streets wending their way up into the hills. The best places to run in Budapest are all centrally located. The highlight is Margaret Island, a recreational mecca with several km of trails with great river and city views. There is also excellent running along the Danube, on both sides, although one should look carefully at our guide to learn the best sections. 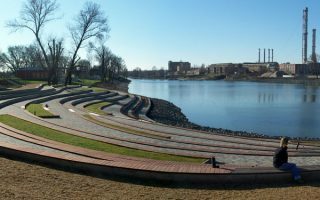 There are also some great parks for running: City Park (Varosliget), Bikás Park, and Orczy Park. 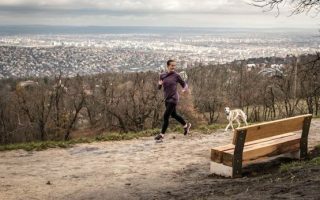 And for some hills, head to Gellért Hill in Buda and run up to the Citudella (fort), or enjoy the more expansive Normafa park, a few km west of the city. One thing that’s unique about running in Budapest is that there are many places with rubberized running tracks, which are dedicated paths for runners. The longest is 5.3 km on Margaret Island. Many of these tracks also feature an open air fitness park, with machines for exercising. There is excellent transportation in Budapest. Metros, trams, buses, and trains. All of our routes are accessible by public transport, and one really does not need a car if staying in the metro area. A 'runseeing' tour of Budapest, following the route of the Telekom Vivicitta Half Marathon. 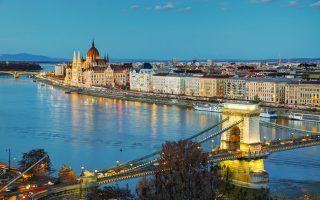 Incorporates City Park, Andrássy, Pest Inner City, Chain Bridge, a jaunt around Buda Castle, Danube sections on both sides, and Bajcsy-Zsilinszky. Options to cut out some sections. One of the running treats in Budapest, allowing for views, sites, and exercise while seeing important sites. There isn't a 100% seamless, dedicated waterside path on either the Pest or the Buda side, but there are some great sections. Click for details! 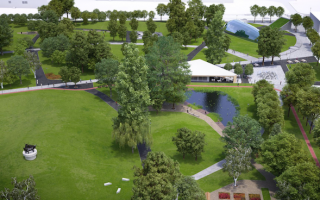 A new 10 acre park in south Buda, just south of the Rákóczi Bridge. Pleasant park for running, with paths and a 2000m (1.2 mile) running track. The park has restaurants, cafes, and other recreation. A nice add-on to a run along the Danube. A recreation oasis on the Danube, this is is one of the most popular places to run in Budapest. A flat, 5km track encircles the island, with good water views. The island has other paths, plus gardens, pools, cafes, and other paths. 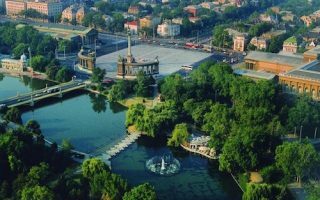 Relatively small but significant city park with museums, gardens, thermal baths, pool, and zoo. Several paths great for running. It's about 4km around the perimeter. 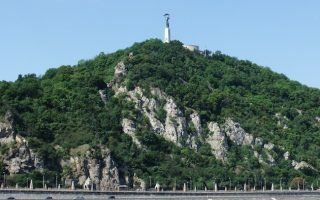 235 meter hill rising from the Danube, with a fort and great views from the summit. A great hill run opportunity, with numerous options: more gradual paths, steeper paths, and stairs! Thermal baths part of Hotel Gellert are a good place to start/end. Small-ish park in South Buda, with paths, a curvy running track, a pond, and a good running hill with Kiss István titled “Monda” artwork at the top. It's about 1.2 km around the perimeter. Large park 8km west of Budapest. Many km of trails, combination of paved and gravel, flat and hilly. Can get to a high point at 526 meters. Develop your own route, or enjoy the new 2km rubberized running track - hilly! Budapest has a humid continental climate, with cold winters and warm summers. July high temps are near 80F (26C), with warm nights. It can be humid. Winters are cool to cold, with average January highs a bit above freezing (3C), but cold enough for skating and winter sports. You’ll need to be equipped for running in winter. There’s also quite a spread in the amount of sunshine between the seasons. Winters can be overcast and chilly, while summers are sunny and dry. Budapest is a popular tourist city, and there is an excellent range of centrally located hotels. The fanciest and most plentiful selection of hotels are located in Pest, south of the Elizabeth Bridge and within a mile of the river. In Buda, there is also a growing selection of hotels. Try to stay within a mile of the river, and south of Margaret Island, for the best running. Or, close to a metro stop that can whisk you to or from a good running spot. Spuri Futbollolt. Several stores in Budapest and surrounding areas. Great team of consultants and runners. There are several running groups that visitors can connect with. WeLoveBudapsest listed 5 running clubs in a 2016 article. Kvázibárki. Tuesdays, 6:30 am. Often longer runs. Run in Budapest organizes tours to several notable running events in Budapest. Wizz Air Budapest Half Marathon. Second Sunday in September. The biggest half marathon in Central Europe. Spar Budapest Marathon. October. 20,000 participants, 2-day event, with different races and distance options. Telekom Vivicitta Half Marathon. April. 2-day event draws 30,000 runners for different events, with 1/2 Marathon being the signature race, offering a great ‘runseeing’ tour of Budapest.